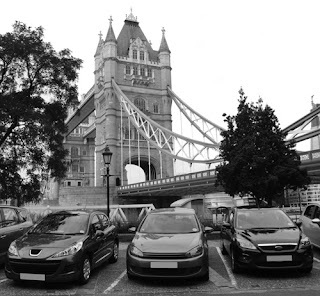 If you are planning to move to the UK for a temporary or indefinite assignment, you might want to consider UK expat motor insurance. If the company or organization you are working for doesn't have an international insurance policy for employees, Clements Worldwide offers individual UK expat car insurance. Having car insurance abroad is as important abroad and it is at home – maybe even more so. While most Americans consider the fact that Brits drive on the wrong side of the road enough to merit getting UK expat car insurance, there are many reasons people need international motor insurance of any type. Comprehensive and collision protection are needed in case of vehicle damage from a break-in or an accident whether it's parked or you're driving it down the road. If the vehicle won't start or can't travel, our comprehensive, collision and theft policy will coverage the towing and labor. We offer car rental insurance reimbursement on rented vehicles, also known in the UK as car hires. Driving on a foreign license in Great Britain has a number of restrictions which affect what and how long you can drive. If you have a license from your home country or an international driving permit, you can drive any motorcycle or small vehicle up to three-and-a-half tons and with as many as eight passengers for up to a year as long as your foreign license remains valid. If you plan to exercise this driving privilege in the UK, expat car insurance can protect you if there is an unforeseen problem.